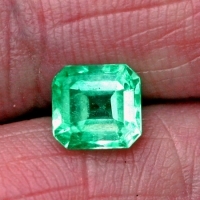 Beautiful vivid medium light very slightly bluish green color. Balanced well cut gem. VS eye clean. Excellent clarity for emerald.